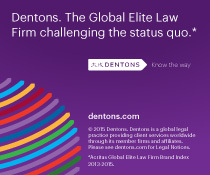 Dentons tax experts would like to remind you that 20 March 2019 is the deadline for filing notifications of controlled foreign companies (“CFC”) with the Russian tax authorities. Controlling persons must file CFC notifications in respect of corporate and non-corporate CFC (trusts, funds, partnerships). In 2019, controlling persons must declare CFC profits or losses that were recognized by Russian taxpayers in 2018. The Russian Tax Code (hereinafter – “the RTC”) provides certain cases where a controlling person does not pay tax on the undistributed profits of a CFC. For example, if the CFC is taxed at a high effective profit tax rate in its country of tax residence, or the CFC is an “active company”, or in other cases provided by the RTC. When a CFC’s profit qualifies for a tax exemption under the above conditions, then the controlling person must file relevant supporting documentation with the Russian tax authorities (translated into Russian) along with CFC notification. The official CFC notification form and filing deadlines applicable last year (approved by Federal Tax Service Order of 13 December 2016 № MMV-7-13/679@) remain effective for 2019. Kindly note that corporate controlling persons are not allowed to file paper notifications, such notifications are deemed not properly filed even if filed on time. Controlling persons must file CFC notifications with their local tax inspectorates. Notifications filed with other tax authorities (even a tax authority dealing with major taxpayers) are not deemed properly filed. Failure to submit a CFC notification in time, or submitting inaccurate information, is subject to a fine of 100,000 rubles per notice. If the controlling person has several CFCs, the total fine may be quite significant. Therefore, it is of grave importance to double-check the accuracy and correctness of the information provided in CFC notifications. Kindly note that since the 2017 financial year, controlling persons must declare a CFC’s profit exceeding 10 million rubles. When calculating the CFC’s profit, controlling persons must consider the adjustments and exemptions provided by the RTC. Controlling persons must provide financial statements of their CFCs for the 2017 financial year along with the tax return. In certain cases, the controlling person must also provide an auditors’ report. According to the RTC, 31 December 2018 is the date of receipt of income qualified as CFC profits declared in 2019. It is also the date for determination of the tax residency status of controlling persons. This is especially important for individual controlling persons whose tax residency status may vary during the calendar year. Russian tax resident individuals must file a tax return by 30 April 2019. Corporate taxpayers must file a tax return with the Tax authorities no later than 28 March 2019. The personal income tax and profit tax rates are unchanged: 13% and 20% accordingly. Russian tax resident individuals must pay personal income tax due no later than 15 July 2019. Corporate taxpayers must pay corporate income tax no later than 28 March 2019. • Legal support in resolving court disputes between the Russian tax authorities and Russian tax residents regarding CFC compliance started at any judicial level of review as well as pretrial dispute resolution.